Advisor to Pompeo says U.S. is urging its European allies and others to impose sanctions on Iran to curb its missile program. The United States is urging its European allies and others to impose sanctions on Iran to curb its missile program, a senior advisor to Secretary of State Mike Pompeo said on Saturday. “We are urging nations around the world to sanction any individuals and entities associated with Iran’s missile program, and it has also been a big part of discussions with Europeans,” the advisor, Brian Hook, was quoted by Reuters as having told reporters in Riyadh. Hook, who is negotiating changes to the Iran nuclear deal with European allies, said Iran’s missile program would be a major topic in talks on Sunday between Pompeo and leaders from Saudi Arabia and Israel. President Donald Trump, who has blasted the 2015 nuclear deal as “the worst deal ever negotiated”, in January decided to extend a waiver on nuclear sanctions that were imposed on Iran but gave the deal’s European signatories a May 12 deadline to “fix the terrible flaws” of the deal or he would pull out. Trump met this past week at the White House with French President Emmanuel Macron, who has been leading an effort by France, Britain and Germany to find those "fixes" to the deal that would satisfy Trump's objections. 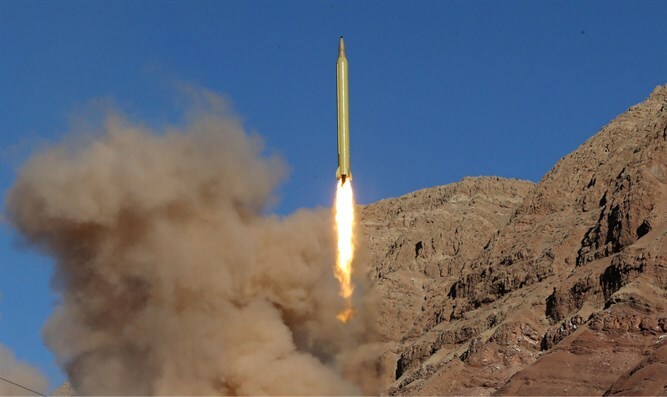 Iran insists that its ballistic missile program is peaceful and has ruled out any calls to curb its program.